Man, WebKit cannot catch a break today, can it? After Samsung announced that it would be teaming up with Mozilla to build their own mobile browser engine called Servo, Google says its planning to fork WebKit to create a new project called Blink. Unlike Servo, this one will still be based on WebKit, but this new fork actually seems to be aimed not at competing with whatever Samsung is putting out, but rather at gaining freedom from another browser: Safari. On higher levels than just WebCore, Apple has actually been using WebKit2, which handles things like sandboxing (the feature that allows one tab to crash without bringing the whole browser down). Die hard Chrome fans may be aware, but Google already has its own method for sandboxing tabs and has no need for WebKit2's implementation. However, WebCore contains a lot of code that is designed to support features like that. How much is "a lot of code," you ask? About 4.5 million lines of code, it seems. 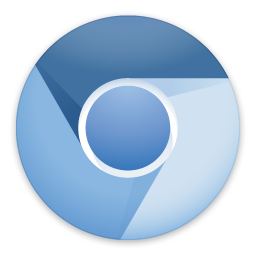 Seven build systems and "more than 7,000 files" can be removed if Google forks WebKit, according to a post on the Chromium blog. This could remove a lot of bloat from Chrome and make it easier to implement new features. It could also piss a lot of people off, if everyone's not careful. WebKit is an open source engine and not only can everyone do what they like, but many have. If things aren't handled sensitively, it could result in yet more headaches for web developers. Google's promising that it's implementing strong guidelines and encouraging adherence to standards. We'll see how it shakes out, though. Oh, and just in case you were worried that this means everyone is in their own camp, Opera is coming along for the ride, too. One spokesperson said that "Our ambition is to contribute Opera’s browser engine expertise to Blink, ranging from the implementation of new web standards to improvements in existing code." So, Google and Opera in one corner, Mozilla and Samsung in another, and Apple still on the WebKit2 train—carrying 61% of all mobile browser traffic with it—in a third. Just when you thought you had this whole browser war thing figured out.